Goodreads: When you read this book, you will make many assumptions. Kritters Thoughts: There are certain tropes that a reader sees over and over again. 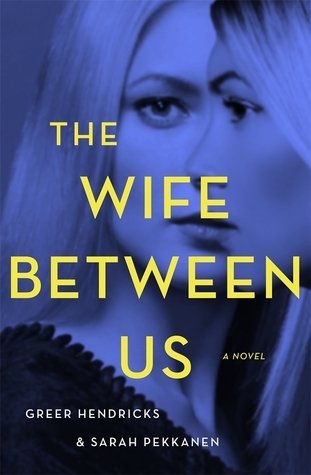 A cheating husband, the other woman and the wife are things that can be seen in many books. This book presents them and then flips them upside down and inside out. What you think is the truth may change a few times in this book. With a ton of twists and turns and u turns and wrong turns, this book was full of it and I loved it. When there is good writing, I love being wrong and when a book takes a twist that is from out of nowhere I get so excited about where it will possibly go! There were a few moments in this one where I just couldn't predict where it was going and it surprised me. I read this book knowing I was already a fan of Sarah Pekkanen and was excited to read a book by her and with a twist of her writing with another - Greer Hendricks. Before reading this book I knew that Greer was Sarah's editor and knowing that they had a previous writing relationship I was excited to see them team up and write something together. This was a great collaboration and I would love for them to do it again! Disclosure of Material Connection: I received one copy of this book free of charge from St Martin's Press. I was not required to write a positive review in exchange for receipt of the book; rather, the opinions expressed in this review are my own.